I started reading book one of Riley’s series. I like it and find Brazil interesting. I’m glad that Say You’re Sorry is a quick read as it is one of the Feb. ARCs I didn’t get to yet. Donna well it has a lot of pages but they turn quickly!! It is I need to know what happens next. I’m going to listen to the second book in the Seven Sisters series on audio on your suggestion. I really liked the first book but it just felt way too long. I think audio will help a lot. The House of Second Chances looks intriguing so I’m looking forward to seeing your thoughts! Katherine just remember audio is even slower than reading! #2 was actually the first one I read and then I backtracked to #1. I didn’t listen to this one but read it as a review book I think. I see that #2 has some cutting narration remarks but preview it and see what you think. 21 hrs ouch! Ooh! The Rosie Result! I can’t remember if I listened to The Rosie Project or read it now. I think I read it and tried The Rosie Effect on audio. I hope it’s not only available on Audible like the cover says. I have been staunchly resisting signing up for Audible! I liked the first book better than the second, also, but that’s usually the way with sequels, right? Thanks for hosting the link-up! Laurie hope it is on audio somewhere else, maybe there is another version somewhere! I hope you love The Rosie Result. I liked the first one but didn’t get to the second. I hope you get some more rain and cool evenings. Have a nice week, Kathryn. There’s a new Rosie book??? I hadn’t heard anything about it yet, so thanks for clueing me in! That series is just so much fun – I read the first book during a difficult time when I was in serious need of a pick-me-up, and it did the trick nicely. 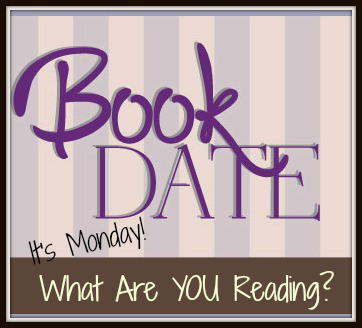 Hope you enjoy that and your other books this week – thanks for hosting the linkup! Sue its out in our part of the world anyway, hope its out in yours now or soon. Lovely lovely books. I either read The Things We Can Not Say or I have it…one orthe other! I loved The Things We Cannot Say! Enjoy!! Oh wow, that is some new format for the link up. I will have to move up Riley’s series. I just may look now. Have a good Monday, Kathryn. Good to hear the rain cooled you off a little. We have had howling 40-60 MPH winds all day Sunday, all last night, and still happening. Scary seeing these trees swaying back and forth. I LOVE Lucinda Riley’s books. I have only read one of the books in this series. Yay for a little rain! Looks like a good mix of books! I like the look of Say You’re Sorry and The Things We Cannot Say. I’ll give you a bit of our rain. Between the rain and snow we are making up for the easy winter we were having. Home at Last looks good. Love the cover on The House of Second Chances. Hope you have a great week. I haven’t read Karen Rose in a while. They do read fast but can be gritty in places. The House of Second Chances sure has a pretty cover. Hope you enjoy all your books. Happy Reading! I’m hoping to read the Lucinda Riley books I have on my bookshelf. Hope you are enjoying your current read. It looks good! Karen Rose is an author that I want to read. I’ve been wanting to read Karen Rose’s books for awhile. They look like books I’d enjoy. This one looks really good. Have a great week! We got never ending rain here (a spot too much) but it is nice and cool 🙂 Hope you enjoy all of your reads this week! I have The Things We Cannot Say on my list, and I love the look of The House of Second Chances. Thanks for sharing…and for visiting my blog.